As usual I have chosen a picture of a letter box to accompany this annual reminder of last posting dates for Christmas. This one I photographed in June on a remote part of the Isle of Mull in the Inner Hebrides off the west coast of Scotland with Red Deer nearby, Golden Eagles soaring over the mountains above and otters in the sea loch below – heaven! 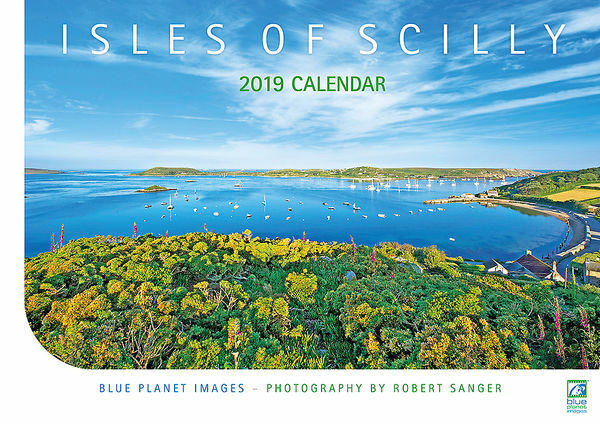 We have been so busy with record-breaking sales of our Isles of Scilly 2019 Calendars that I must apologise for sending this reminder out a little later than usual, so much so that we are already past the recommended last posting deadline dates for the first two groups of destinations. Orders to us please Now even though past the due date. Asia, Far East, Cyprus, Malta, Eastern Europe (except Czech Republic, Poland and Slovakia). Caribbean, Central and South America. Australia, New Zealand, Greece, Turkey. USA, Canada, Czech Republic, Italy, Poland. Austria, Denmark, Germany, Iceland, Portugal, Netherlands, Norway, Slovakia, Spain, Switzerland. Received two Isles of Scilly calendars this morning - safe and sound. Click on the front cover picture above to view and buy it. Every single item we sell is carefully hand-checked, wrapped and packed by us. Our printing is done locally in Cornwall, supporting local businesses & jobs. Same or next working day dispatch – orders also accepted and processed at weekends. More sold this year than ever before – enough still available to meet anticipated usual last-minute orders - I hope!!! Blue Planet Images Co. Ltd. Please only print a copy of this e-mail if essential – even small savings help to conserve our Earth‘s resources and contribute to environmental protection. All such images are © Copyright of Robert J. Sanger as the photographer and may not be used, copied, reproduced, downloaded, passed on, given, loaned to any third party, nor reproduced in any manner and in any medium whatsoever except as previously agreed with us in writing. Confidentiality: This message (and any attachment/s) is for the above named addressee only, and contains information that may be confidential and/or privileged . If you are not the intended addressee and have received it in error, you should contact us immediately by return e-mail, delete this message from your records & not make use of any of the information herein, nor disclose, distribute, copy nor print this e-mail. Thank you for your co-operation. Security: e-mail sent via the Internet is not 100% secure. We send this message to you bearing this in mind, and we recommend that that you be similarly guided accordingly when replying to us via e-mail. Viruses: Whilst we have taken steps to ensure that to the best of our knowledge, this e-mail and attachments, if any, are virus-free, we do not give any warranty in this regard. We therefore recommend that you make your own anti-virus checks of this and all e-mail messages and any attachments from us to verify that they are indeed virus-free.